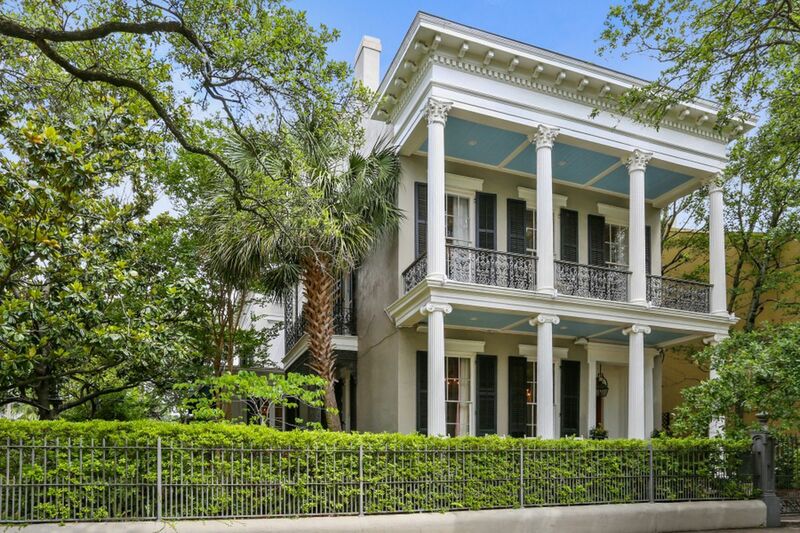 Built in 1857, Architect James Gallier Jr. designed this three-story Greek Revival home for Lavinia Dabney, one of the first women to own a home in the Garden District. 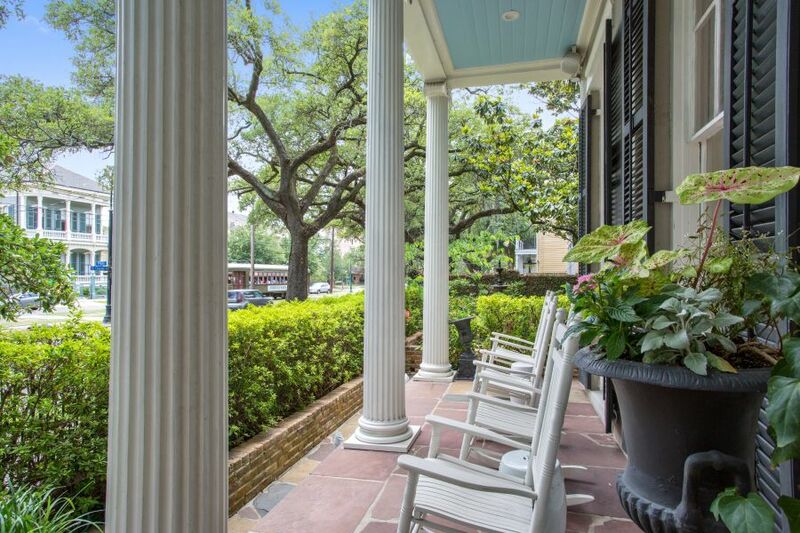 Located on St Charles Avenue, it sits near a streetcar line stop and a block from Jackson Avenue. 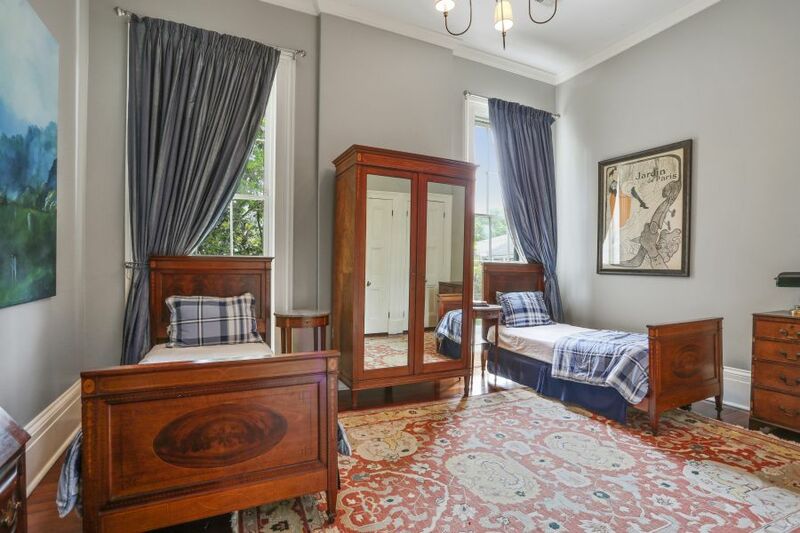 The Library of Congress featured this home—The Dabney House—in its Historic American Buildings Survey, stating it as one of the “few remaining houses in New Orleans that can be considered the design of James Gallier, Jr,” in 1964. The asking price is $1,895,000. 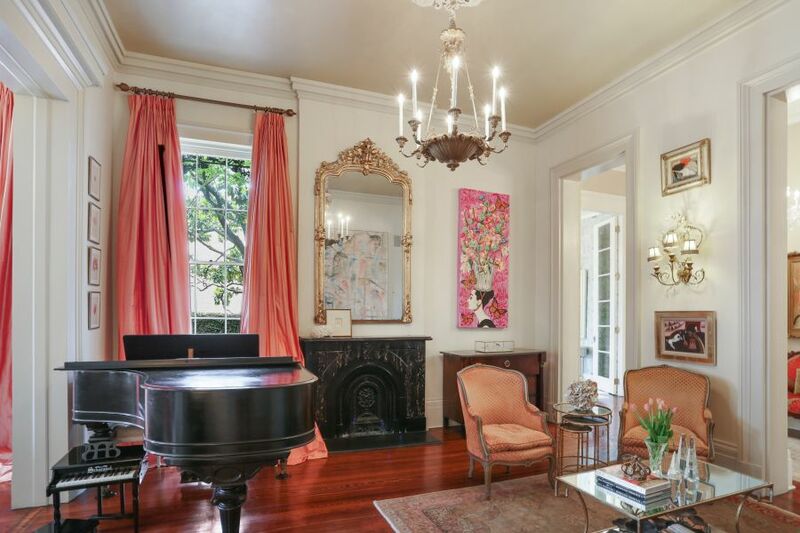 This antebellum double-gallery home is surrounded by landscaped grounds. 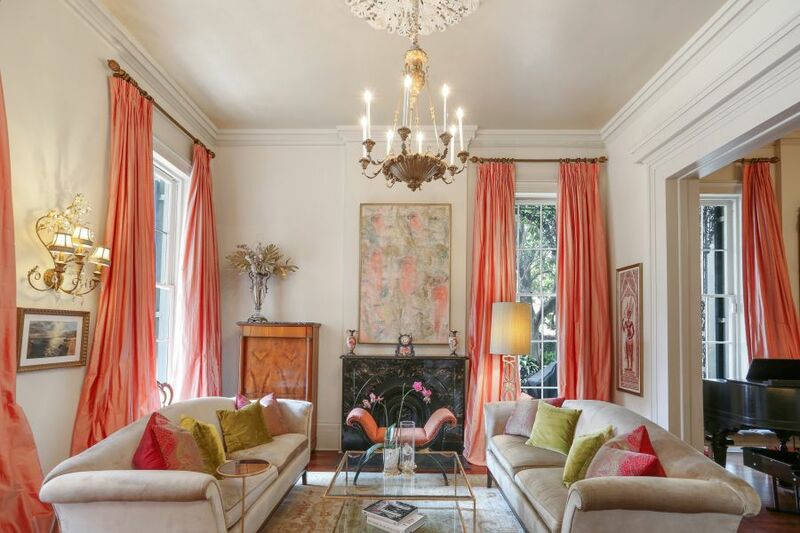 It has a common Greek Revival design, having a tall and slim facade, petite columns, and floor-to-ceiling windows. 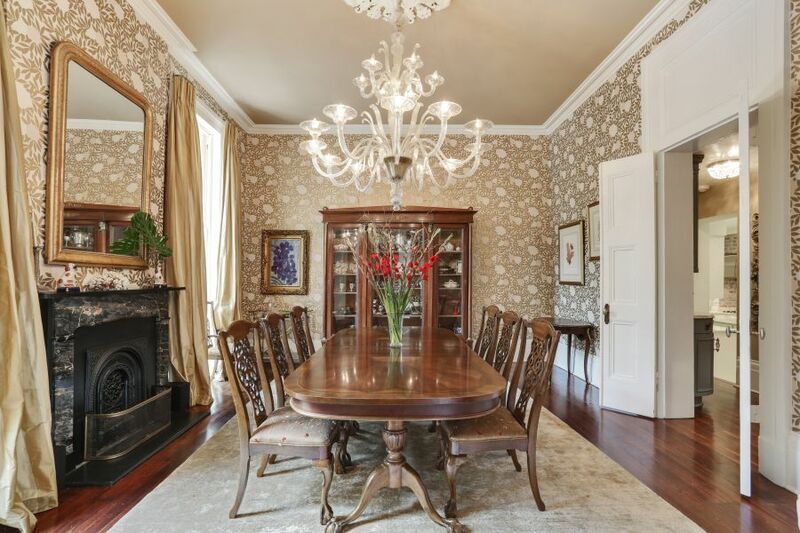 It has a double parlor, traditional dining room, spacious den, breakfast room, and sunroom. 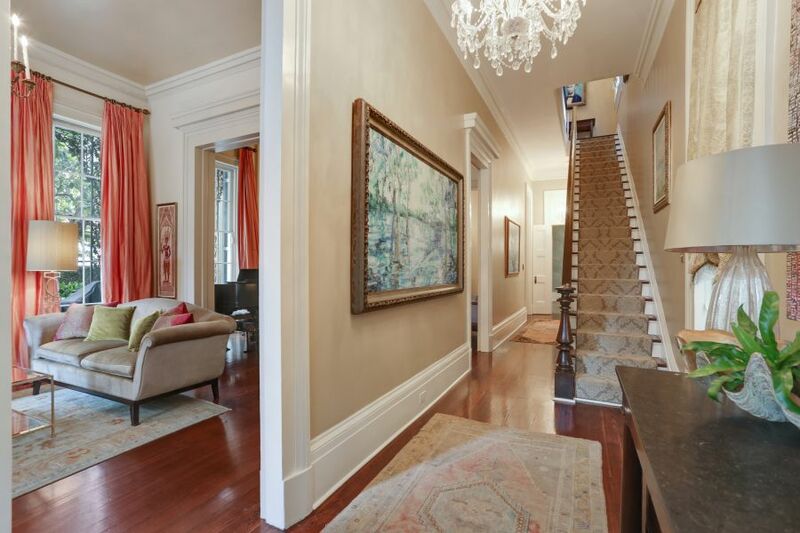 Highlights of this home include its 14-foot ceilings, plaster medallions, crown molding, mahogany staircase, and wide-pine flooring. 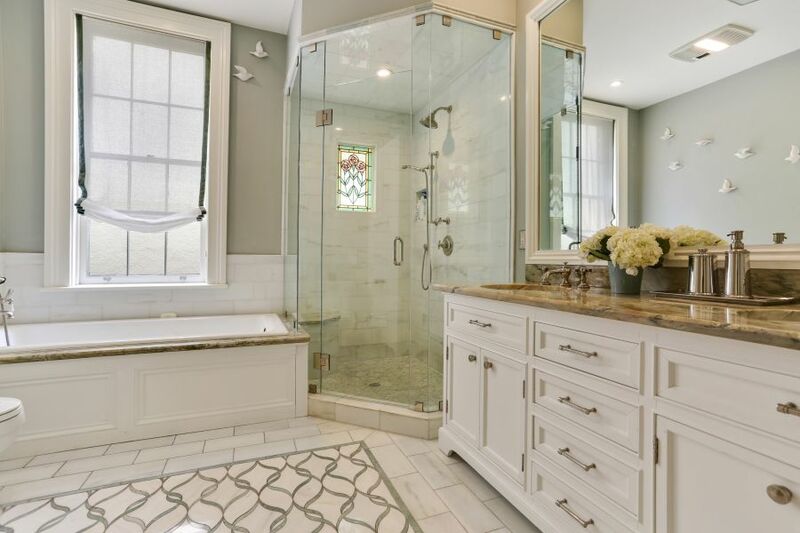 Since 2010, this home has undergone several renovations, including the installation of its over-sized Murano glass chandeliers, rebuilding of its staircase to allow for more space on the second floor, and four custom-designed stained glass windows. 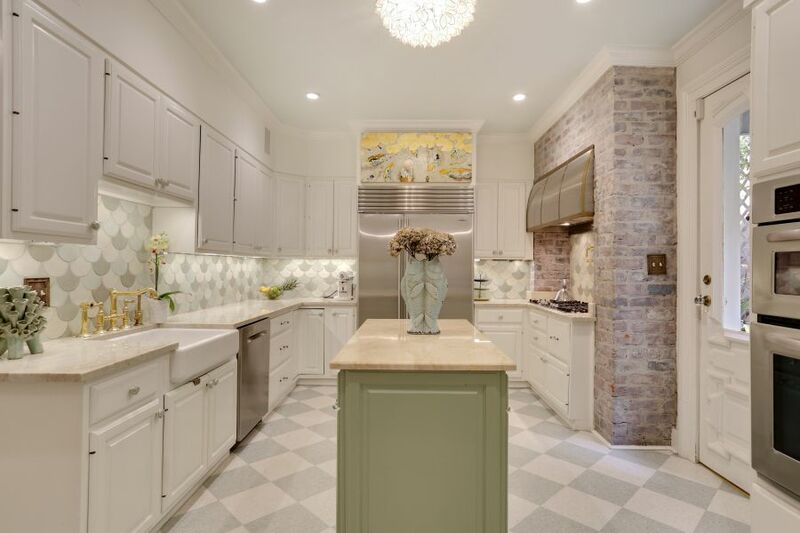 Continuing renovations in 2015, its kitchen has new flooring, custom island, high-end quartz countertops, hand-painted backsplash tiles, and an over-sized porcelain sink. Its stainless-steel and brass-hood vent contrasts nicely along its decorative exposed brick. 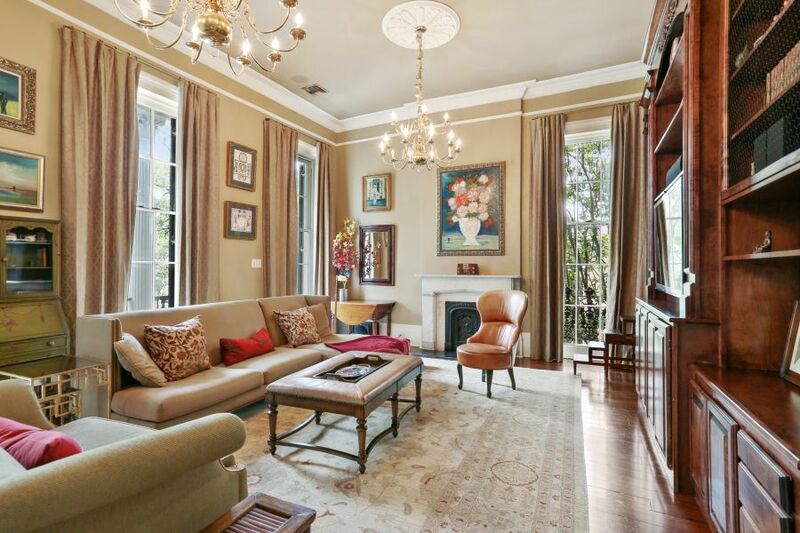 At 6,124 square feet, this home has five bedrooms and 3.5 bathrooms. 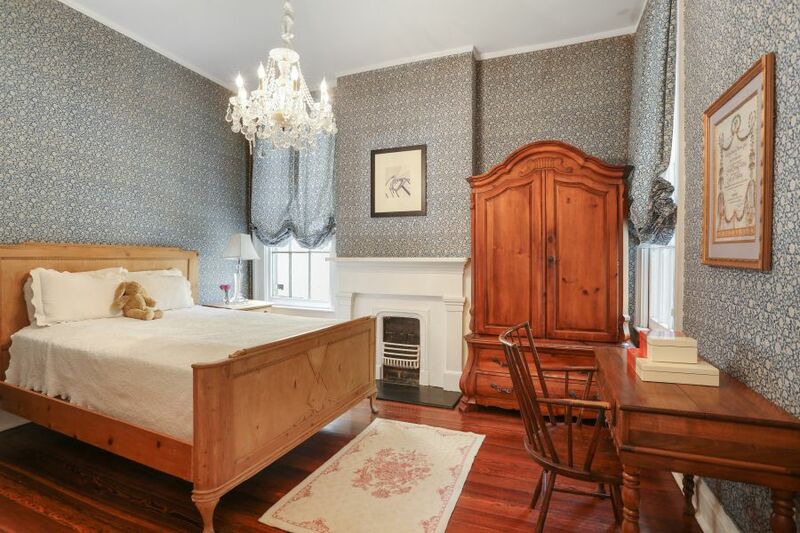 Its master bedroom has a redesigned walk-in closet. It has two side facing balconies accessible from the second floor. 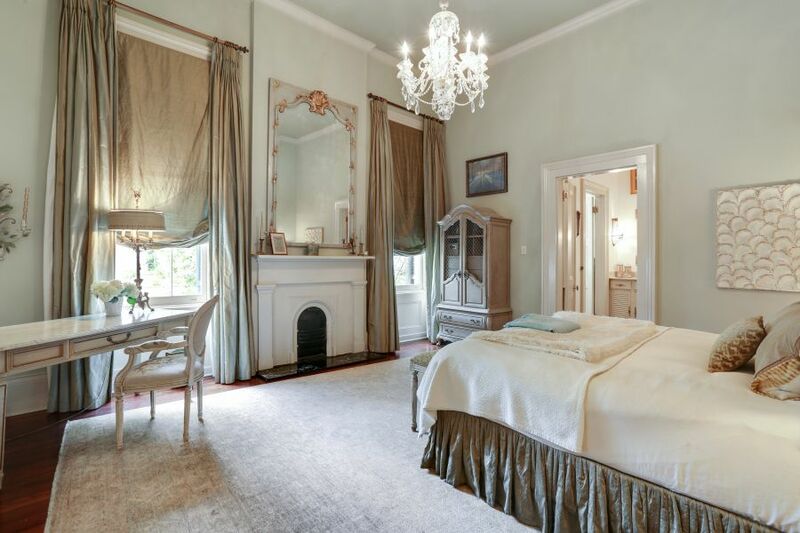 This home does not come fully-furnished and excludes chandeliers in the breakfast room, master bedroom, and master bedroom closet. Though some of the antique furnishings pictured can be negotiated with the owner. It has a 900-square-foot mother-in-law suite located on the on the first floor that has one bedroom, 1.5 bathrooms, an open floor living room, and full kitchen. It also has a separate entrance and side yard that faces Philip Street. 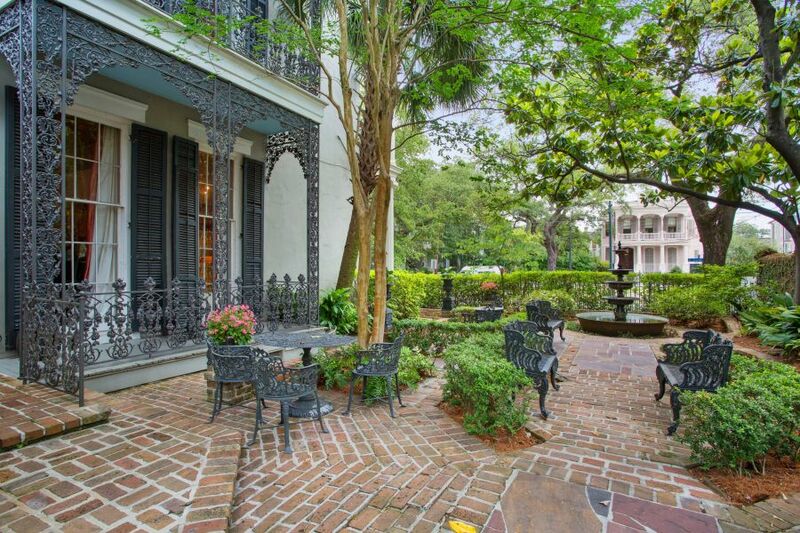 A gorgeous brick courtyard, fountain, and landscaped grounds sit at this home’s rear.